After being stabbed in the head by Chris Higgins. Jason Vorhees is believed to be dead and is taken to a Hospital for an Autopsy. However, He is Alive and kills a Doctor and a Nurse and is loose once more. He Returns to Camp Crystal Lake where Young Boy Tommy Jarvis lives with his Mother and Older Sister. A Group of Teenagers move in to a House next door to the Jarvis House. Jason begins killing the Teenagers and kills Tommy's Mother. It's now up to Tommy and His Older Sister to kill Jason and end his murderous rampage once and for all. 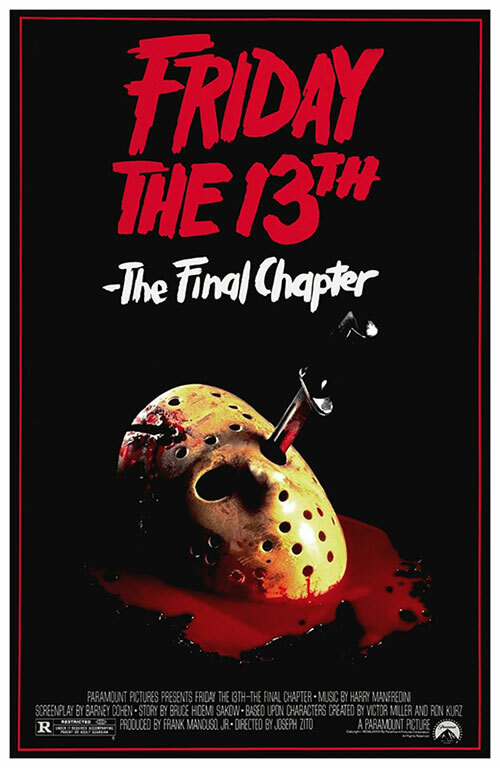 1 Response to "Friday the 13th: The Final Chapter (1984) Joseph Zito"